For the second instalment of my Flormar Week series, I am going to tell you all about the face products that Flormar offer. From foundations to concealers, powders to primers and bronzers, there are numerous face products available in the Flormar line up. I have been reading a lot of favourable musings around their Perfect Coverage foundation so that was the top of my list to try, and their giant bronzers have featured quite prominently on social media also in recent times. In a nutshell, Flormar are bringing you three new foundations, a BB cream, a BB cream to powder compact, a variety of CC creams, 2 face powders, 2 types of concealer, 2 different primers and a bronzer. For a brand that has only just arrived in Ireland, that is quite an offering, I'm sure you will agree. Like yesterday's lips post, I'm going to show you what's available and give little speed reviews of the Flormar face products that I have tried over the last 10 weeks. The Mat Velvet Foundation which promise to even out the skintone and mattify and retails for €7.95. The Mat Touch Foundation which promises an antioxidant effect, contains Vitamin 5 and dries to a matte finish. This retails for €9.95. My personal favourite- the Perfect Coverage Foundation which retails for €10.95 and promises to last on skin for 12 hours. For more details on this foundation, keep reading! The BB Cream which promises to illuminate, protect against UV rays, moisturise and illuminate. This one will set you back €9.95. CC Colour Correcting Cream to combat against dark circles, redness and fatigue and these are €11.95 a piece. There are two powders to choose from, a loose powder and a compact pressed powder. Now, whilst I admit I am not really a gal for powder as I don't have terribly oily skin or like a very matte finish. I wasn't able to test out the colours of the Loose Powder because the testers were not opened (and I don't want to be THAT person) but from what I could tell, the shades looked pretty light and the powder was very finely milled. There are 2 primers available, both illuminating. The Illuminating Primer Makeup Base has been a staple in my routine for a while now. Whilst I don't find it illuminating in the way that I would find Benefit High Beam illuminating, it feels nice on the skin (not siliconey) and my makeup sits nicely on top. The second primer, the Double Radiance Primer, is very much akin to a liquid highlighter. At €12.95, it is the most expensive Flormar product available and even though I have not purchased yet, I can definitely see myself picking this up in the near future. I think this would look amazing mixed with my foundation of choose for a radiant, sunkissed look. In terms of concealers, there are two Flormar offerings- the Perfect Coverage Concealer which comes in a little wand and the Ultimate Concealer Palette which contains the colours you can see below. I haven't tried the palette and to be honest, it doesn't really appeal to me as I don't have major colour correction issues, but I will say that the Perfect Coverage Concealer wand is great. I couldn't really use it as a concealer for blemishes but I picked up the lightest shade and it's quite peachy so it works really well for brightening the undereye area. 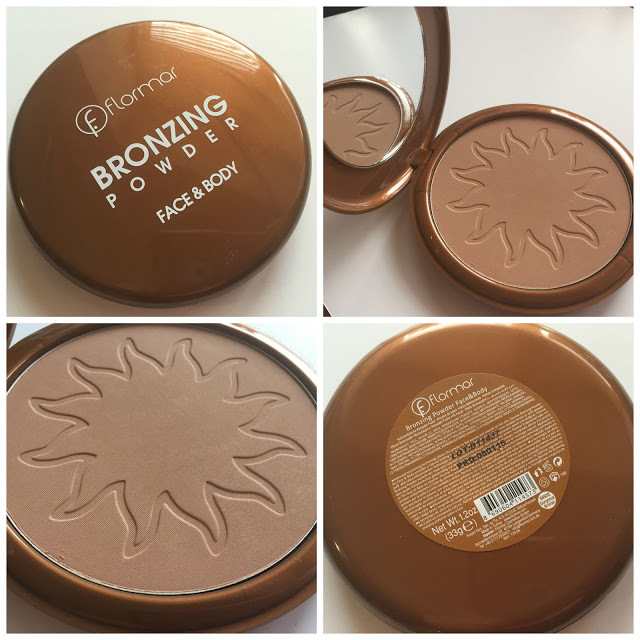 One of my favourite Flormar products and one that I absolutely recommend is the Flormar Bronzing Powder. It comes in three shades- you can see the colours below- and at €9.95 for a pan the size of your actual head, this is the best value product EV-ER. I have the shade 02 and as you will see from the pictures below, it is the most perfect shade for warming up your face if you are pale skinned. The texture of this is amazing- so soft, so easy to pick up on your brush and dust across your face. Something I haven't touched on before is the smell of Flormar products- they are quite heavily scented but I have to say I love the smell, it reminds me of a face powder that my nana used to use and I get the warm feels when I smell this bronzer. To see what it looks like on, keep scrolling down below! So now that I have given you a little insight of what is available, let me share some more of my thoughts on the various products with you. I've tried the Perfect Coverage Foundation a couple of times now and I have to say, I quite enjoyed it. It's a thick enough formula but it applies to the skin easily and provides great coverage. It's not really subtle on but I don't mind this because sometimes I like to go for the "dolled up" look. It does last the 12 hours but I did find I have to be careful not to brush my hand against my face as I felt that this would disturb my foundation a bit if you like. The foundation also offers SPF of 15 which is very much appreciated. I have the lightest shade 105 Porcelain Ivory and I have to bring it well down my neck to blend as I am too fair skinned naturally for it (and I am a MAC NW20 for your reference). The Illuminating Primer Makeup Base is a nice base, not illuminating in the glittery sense and provides a nice base for your foundation. The Perfect Coverage Concealer has been my go-to in the last few weeks for undereye concealing and it applies and blends beautifully and is great for neutralising those blue-ish bags under my eyes and of course, that beautiful Bronzing Powder is great to warm up the face. You can see the level of coverage that the Perfect Coverage provides when you contrast the second picture with the first picture, where all I have on is the Illuminating Primer Makeup Base. In the third picture I added the Bronzing Powder to my face to warm it up a bit. 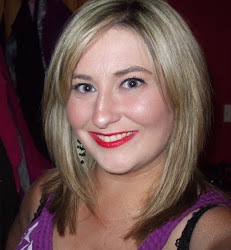 In the final picture, I have applied the rest of my makeup, including the Perfect Coverage Concealer. So- there you have my little summary of the Flormar face products available for purchase in Ireland now. Have you tried any of these yet? Is there anything that is jumping out at you as a must-try item? What shade is the bronzer?